As the risk of dental and vision conditions increases with age, ensuring that you maintain good health with routine checkups and examinations becomes even more important in your 50s. As such, it may be worth supplementing your current health insurance plan with dental and vision insurance so that you are protected in the event that you require undergoing a costly dental or vision procedure. This guide by global insurance broker Pacific Prime Singapore provides a useful overview on what to look out for when it comes to purchasing dental and vision insurance. 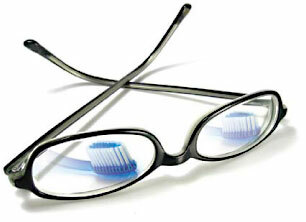 We all understand that ageing comes with an increased risk of a range of dental and eye health problems. For example, older adults have a higher tendency to develop periodontal disease, and there’s also the added risk of cavities as the root of your tooth becomes softer and more vulnerable with age. In your 40s and 50s, symptoms associated with presbyopia, a vision condition that causes difficulty in seeing up close, will become more and more noticeable. It is widely known that the US has the highest cost of healthcare, and dental and vision related costs are no exception. This is especially true if you choose to seek treatment in private facilities, where the cost of Invisalign braces can set you back by US $6000 or more! An eye exam alone can cost over $300, and LASIK surgery can cost up to $4000 per eye. These high costs, coupled with the increased risk of age-related dental and vision conditions, are two of the major reasons why many choose to consider dental and vision insurance. 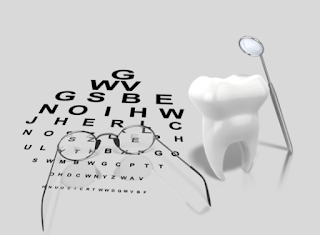 In most cases, dental and vision insurance are available as an add-on benefit which comes with its own additional premium on top of your health insurance plan. That being said, some insurers do offer plans that comprise of mostly dental or vision benefits. If you travel or move countries often, you may also want to consider an international health insurance plan with globally portable dental and vision benefits. Typically speaking, there are two main types of dental insurance: routine dental treatment and major dental treatment. The routine dental treatment option covers more common forms of dental costs such as consultations, X-rays, fillings, emergency treatment, and root canal treatment. Because this type of insurance covers less expensive procedures, it usually charges a lower premium than the major dental treatment option. The major dental treatment option covers major dental treatments, including but not limited to periodontitis treatment, gingivitis treatment, bridgework, root scaling, temporary crowns, porcelain crowns and gold jackets. Adults over 50 are advised to secure this type of dental insurance as they are at a higher risk of requiring major dental treatment. Please note that dental insurance does not typically cover cosmetic treatments (e.g. whitening) but some plans do offer discounts on such procedures. There are two main vision insurance options, namely the vision benefits package and the discount vision plan. The vision benefits package will usually offer coverage for eye exams, frames (including multifocal glasses and reading glasses), as well as contact lenses. This type of plan will usually come with a co-payment, which is the pre-specified amount (as detailed in your insurance plan) that you will need to pay for every vision-related treatment or service. The vision discount plan also offers coverage for eye examination, frames and contact lenses, and usually charges a lower premium than the vision benefits package option. This type of plan works a little differently because instead of paying out on claims, this option provides a percentage discount instead on every ophthalmic service covered by the plan. Please note that not all vision insurance plans will cover LASIK surgery and PRK vision correction, so it’s highly advised to read the fine print or consult a broker before purchasing a plan. It’s important to be aware that add-on benefits such as dental and vision insurance will usually have a waiting period, which is the duration of time (anywhere from 1 to 24 months) you will need to wait after securing a plan before you are eligible for submitting claims on that benefit. During this time, you will likely have little to no coverage benefits. The reason why insurers impose a waiting period on plans is so that it prevents people from purchasing a policy right before they need to undergo an expensive procedure. Navigating through the numerous insurance options available to find one that suits you best can be difficult to do all on your own, so it often pays to talk to a reputable insurance broker like Pacific Prime Singapore to find the best value plan for your needs. If you are looking for the most reputable and trusted insurance plans on the market, Pacific Prime Singapore - a global health insurance advisor will definitely be able to help you. Their team of experienced insurance advisors offer a wealth of experience that you can rely on.